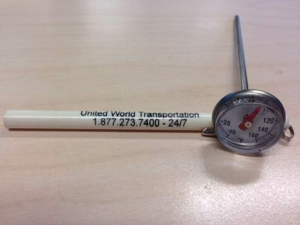 The smallest of devices often play vital roles in many industries; this is definitely true for pulp temperature thermometers in the produce transportation industry; they are essential for a driver to use in order to protect themselves from truck claims and/or additional charges. Pulp temperature thermometers come in many configurations and at varying costs. A basic stick pulp thermometer costs less than $10 for a driver; yet, failing to spend this $10 could result in receiving damages upon delivery than can be thousands of dollars. There are more high tech models of pulp thermometers, most common being digital. Pulp thermometers are a mandatory tool for each and every driver; it is even recommended that drivers have at least 2, and that they know how to calibrate them. Prior to and during loading, drivers should make sure to pulp at least every other pallet of the product that is being loaded into their trailer. For traditional probe thermometers, the driver should actually poke the product to gain an accurate reading of the internal temperature of the product. For digital thermometers, the driver must take the pulp temperature from as close to the fruit as possible. Digital thermometers do provide quicker temperature readings, but technical experts warn that standing too far away from the product could compromise the thermometer’s reading, as it could be affected by outside surrounding air temperatures. No matter what type of pulp temperature device a driver is using, it is crucial to take the few extra minutes and make sure that the readings are accurate. Drivers should write these pulp temperatures on the bill of lading. 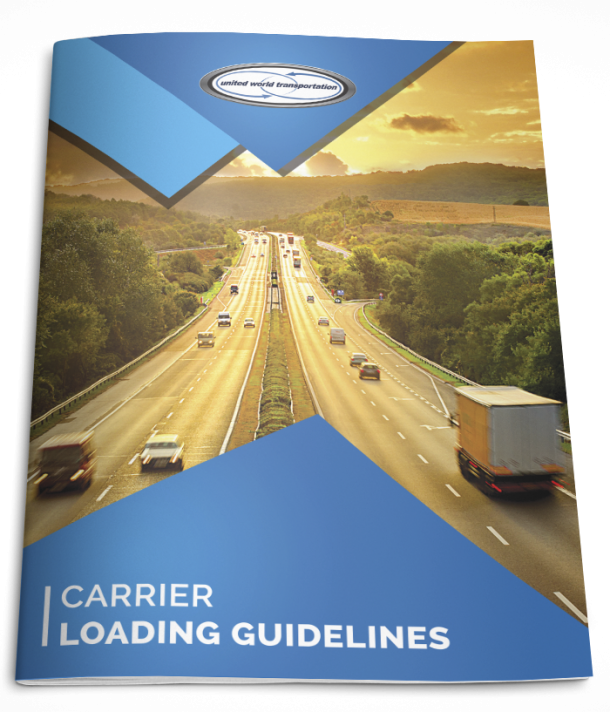 As per UWT’s loading guidelines, if the product pulp temperature reads higher than the requested temperature on the bill of lading, drivers need to address this variance immediately with the staff at the loading shed, and contact UWT immediately so that we can notify the customer. And remember, if access to the loading dock and pulping is not permitted, “shipper load and count” must be written on the BOL!!!! So, with minimal purchase expense, a pulp thermometer is an essential and necessary part of a driver’s toolkit. Don’t have one? Get your hands on one of ours, available at TC Trans in Blaine, WA – FREE for drivers!! !